America’s bottled water production consumes 17 million barrels of oil annually: that’s enough to fuel 1.3 million cars for an entire year. The US ships 1 billion bottles of water around a week in ships, trains, and trucks. That’s a weekly convoy equivalent to 37,800 18-wheelers delivering water. According to the Ocean Conservatory, plastic bottles and plastic bags are the most prevalent form of pollution foundon our beaches and in our oceans. 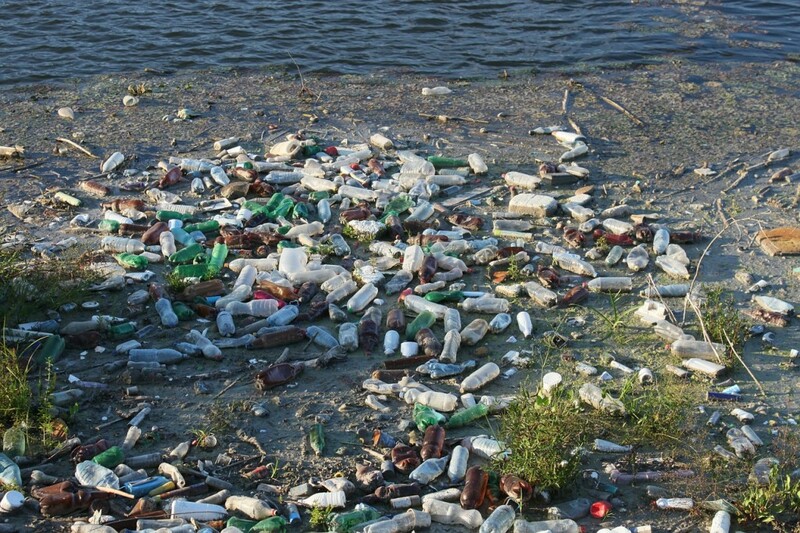 Every square mile of the ocean has over 46,000 pieces of floating plastic in it. Tap water is 300 to 2000 times cheaper than bottled water, but depending where you live, it can be chlorinated, fluorinated, or can have a high mineral content and unappealing flavor. The best option to get bottled-water quality from your faucet is to have a filtration system. A popular option is a Brita water pitcher. While inexpensive, the Brita system is itself made out of plastic, and doesn’t filter out many potential contaminates like bacteria, lead, herbicides and pesticides from agricultural runoff, or fluoride. 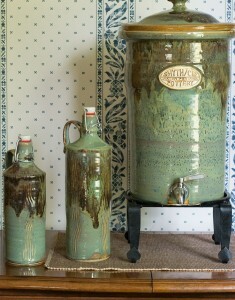 The Smyth/Cid Water Filtration System is a more attractive and practical option, as a stoneware piece, handcrafted in Upstate New York. The filter element removes a wider spectrum of contaminates found in drinking water, including bacteria from biofilm in plumbing. 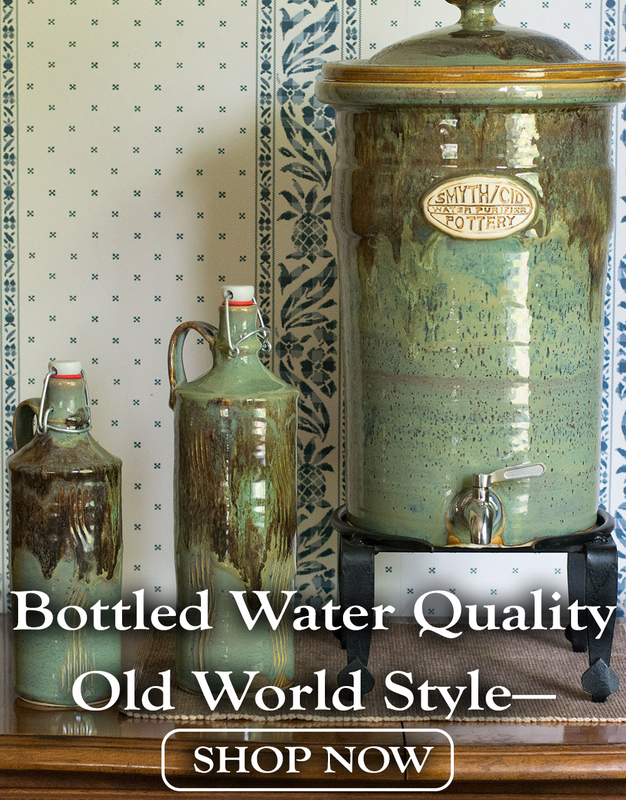 Switching to stoneware water filtration can also save hundreds, or even thousands of dollars per year when compared to bottled water. This entry was posted in Bottled Water, Water and the Environment and tagged Bottled Water.